Read about Chile's must know facts, attractions, events and much more on eventegg.com before your trip. All the countries in the world have got a lot to offer, that is for sure. However, when it comes to Chile, you may find yourself not being able to describe this beautiful country for many reasons. The fortunate geographical location, the sophisticated culture that is felt in every corner of the country, the one of a kind sincerity of Chilean people and its delicious cuisine make Chile one of the most desirable destinations to go. 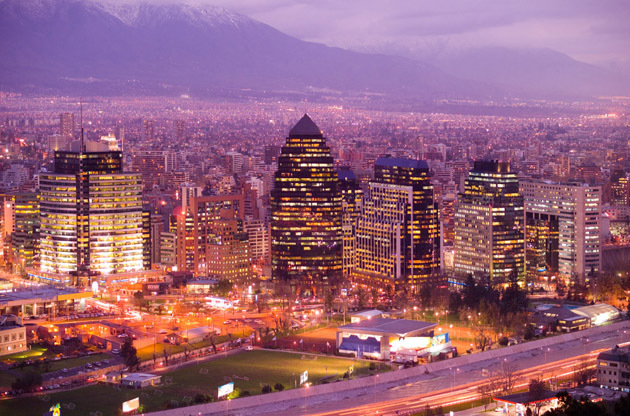 The country’s population is around 17 million and almost 6 million of is living in the capital, Santiago, also known with the name Santiago de Chile. There are 5 beautiful regions of the country. These differ from each other greatly as the country lies across South Pacific Ocean for 4.300 km. Other than the capital, the major cities Concepción, Iquique, Vina del Mar and Valparaíso attract thousands of visitors every year. Chile has contributed to world’s culture in many different fields. Nobel Laureates Pablo Neruda’s and Gabriela Mistral’s deep impact can still be felt in contemporary literature. Sculpture is another important art in the country. The national dance of Chile, Cueca and the song Tonada represents the roots of the country. Football is the most famous sport and it is followed by the Chilean Rodeo, which is completely different than the one in North America. No matter which region of the country you will be travelling to, Chile will welcome you with lots of treasures to see and explore. A trip to Chile always promises a soul awakening experience and fascination that comes after learning the unknown. Pack your stuff for a trip that you will never want to come back from, you are on your way to Chile! Chile is located on South America and neighboring Bolivia, Peru and Argentina. As the country occupies a narrow, long strip between the South Pacific and Andes Mountains, the geographical diversity in the country is bewildering. Volcanoes, deserts, forest, aquarium like lakes, incredible skiing areas and sandy beaches coexist in the country. Because of the shape of Chile, you might as well look for the specific weather cast of the region you are traveling to before your trip. Ministry of Foreign Affairs of Chile gives detailed information regarding the visa procedure. The cuisine of the country is a great reflector of the geographical diversity in the land. Due to the long coastline, the variety of sea food and because of the fertile lands, lots of fruits, vegetables and spices unique to Chile is used to achieve the deliciousness. It is possible to say the cuisine includes a lot of dishes based on meat type, sea food and vegetables. The cuisine also differs when the region is changed. The top dishes in the north and the south of the country are different from each other. One thing stays the same though; the wonderful taste. Here are top 5 Chilean dishes you might as well give a try while you are there. A good meal should be followed by a tasty dessert, that’s for sure. Here is the top 5 Chilean Desserts. Chile is also famous for producing the tastiest wines of South America. You should definitely try some. Mote con Huesillo, Terremoto and Piscola are among the famous drinks in Chile. Chile’s ATM coverage is relatively high and your international credit or debit card will be accepted in most places. It is advised to exchange currency in advance to your trip as the changing rates in Chile may be really bad. Street markets, food and spice bazaars are common in the country. In addition, major cities have got popular shopping districts and large malls, you will find the stores of the well-known brands in these. Copper is the major export item so anything you buy that is made out of copper will last for a long time since it is really good quality. Lapis Lazuli is the famous stone of Chile and you will come across a bunch of souvenirs, especially elephants made out of it everywhere in the country. Emboque is the classic Chilean game and it is really enjoyable to play, easy to carry so you may consider buying one. Trompo, Indio Picaro and Moai statue are the other popular Chilean items to buy from the country. As I have mentioned above, due to the location, the shape of the country and the epic culture, Chile has got countless places to explore and all of these offer you a wide range of attractions that are hard to choose from. You should definitely join to a wine tour in the country. The wine yards has that scenic look and give you an opportunity to understand the process of wine making. Easter Island is a destination for curious souls, it is filled with large monumental statues made by Rapa Nui people. Moon Valley National Park that is located in Atacama Desert, Lauca National Park which is by the Andes Mountains and Torres del Paine are the 3 most famous national parks in the country and all of them are breathtaking with their picturesque beauty. San Rafael Glacier is also a top destination in the country and it is accessible only by boat or plane. Pablo Neruda once said, ‘who doesn’t know the Chilean Forests, doesn’t know the planet.’ In one of his poems. According to him, if you want to know the planet, then Pucon is the place you should go. Chile is getting more and more popular as it keeps on hosting a lot of international events throughout the year. The beauty of the country sometimes become as important as the event itself for the attendees. Large scale congresses, conferences, symposiums, exhibitions, fairs and tradeshows are organized with expertise and the highly accessible and technically well-equipped venues help the success of these events in Chile.